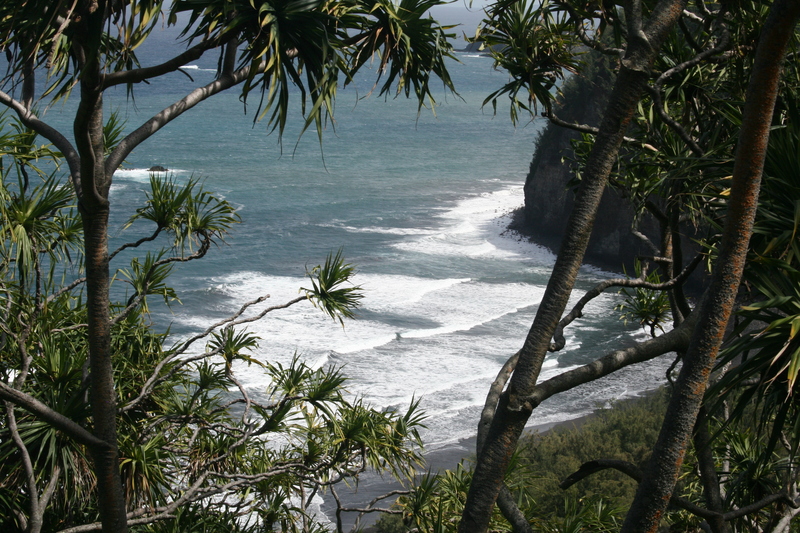 A visit to the Big Island is a study in ecologic and geographic diversity. Drive in any direction and the landscape and weather are likely to change, often rather dramatically. Now, I am not an expert in climate zones, but depending on the classification system used there are at least eight on the Big Island—from humid tropical to arid and semi-arid, to temperate and even polar on the tops of two of Hawaii’s mountains. Yes, skiing and snowboarding in Hawaii. It’s possible and yet another reason to love this island. One way to spend an amazing day on the Big Island is to drive to the northern tip, past the charming town of Hawi. Be sure to stop at the local stores and restaurants on the way. There are some gems here and besides, you aren’t in a hurry. Be sure to enjoy the jaw-dropping twists and turns of this road and drive slowly (and quietly) to take it in. When you get to the end of the road on the Big Island’s Northern Kohala Coast, you are in for a stunning, gorgeous vista—one of the places forever ingrained in my mind for its breathtaking beauty. 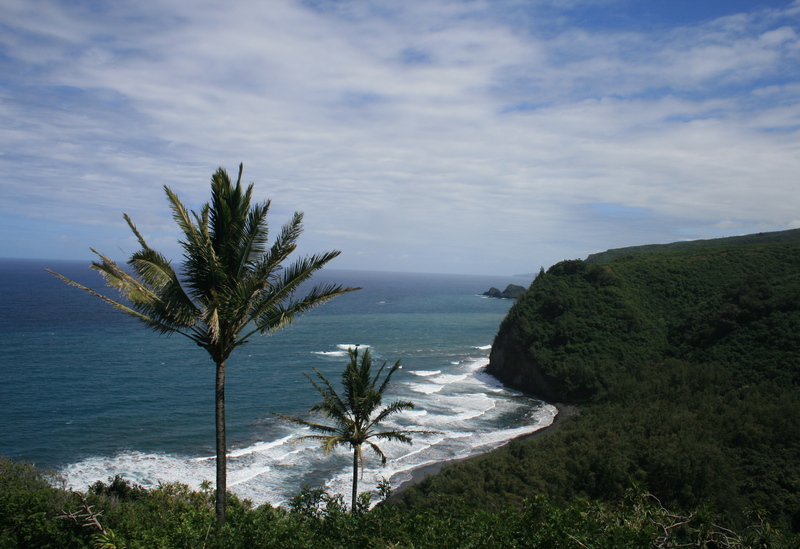 Welcome to the Pololu Valley Lookout. This is the image one might imagine from a postcard or calendar of Hawaii. The cliffs and the sounds of the waves crashing against the shores. It’s almost overwhelming. Stop and look—and listen. This is a sound that never gets old. More to come in future posts on this gem, including a hike down to the beach. For now, enjoy the view. This entry was posted in Uncategorized and tagged Big Island, Hawaii, Hawaiian travel, Hawi, Hikes in Hawaii, Travel by alohajournal. Bookmark the permalink.